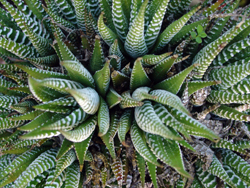 Aloe species are frequently cultivated as an alternative medicine and a home first aid. Both the translucent inner pulp as well as the resinous yellow exudate from wounding the Aloe plant is used externally to relieve skin discomforts. Research has shown that Aloe vera produces positive medicinal benefits for healing damaged skin. Aloe is used externally to treat a number of skin irritations. It has antiseptic and antibiotic properties which make it highly valuable in treating cuts and abrasions. It has also been commonly used to treat first and second degree burns, as well as sunburns and poison oak, poison ivy, and poison sumac infections, and eczema. It can also be used as a hair styling gel and works especially well for curly or fuzzy hair. A moisturizing rice bran body soap from the Junmai product line by Real. The Junmai series of products provide natural and gentle skin care made from rice. Condition your hair with the natural moisturizing properties of Aloe! The healing and moisturizing properties of Aloe are at work in a trio of shampoo, conditioner, and body wash from Japan.